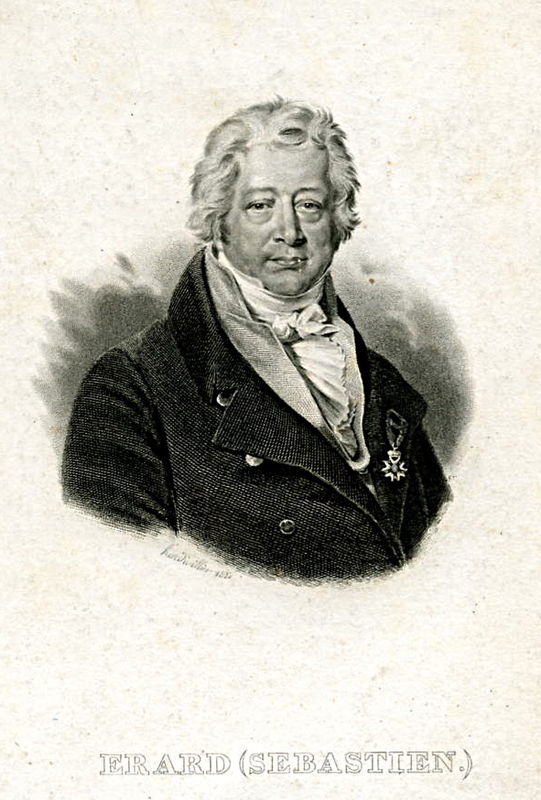 Sébastien Érard (1752-1831) and his brother Jean-Baptiste founded the Érard company. They built high-quality harpsichords, fortepianos, and harps, and invented the double escapement mechanism (which allows the player to rapidly repeat a note, and which was subsequently adopted by all piano companies) in 1822. They also invented the modern system of harp pedals, and opened factories in Paris and London. The Érard company furnished instruments to the courts of France and Europe. Hélène de Montgeroult bought one of their grand fortepianos in 1802.